Holidays to Cuba up to -70% off To take advantage of these offers, join now for free! Enjoy luxury holidays to Cuba and discover the nation they call ‘the Pearl of the Antilles’ for yourself; book online today. 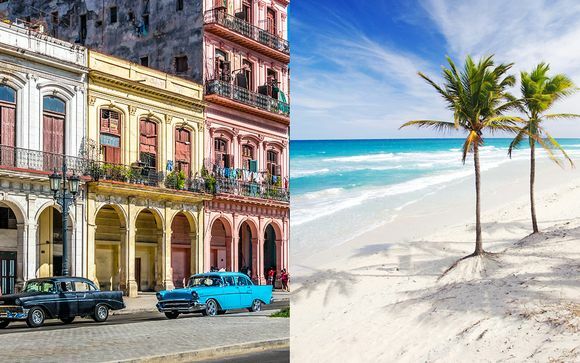 Home to the cigar, tropical fruits and of course, the mojito, Cuba is a Caribbean holiday destination that has experienced something of a renaissance. 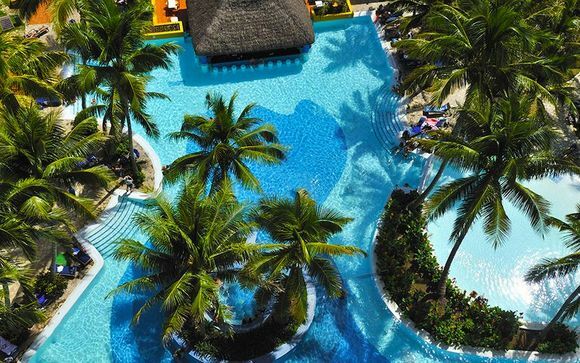 Overshadowed in recent decades by a revolution and the resultant tense relationship with the United States, one the most naturally stunning settings in Latin America has re-emerged as a luxury holiday destination, with almost 3 million tourists recorded as visiting Cuba in 2013. 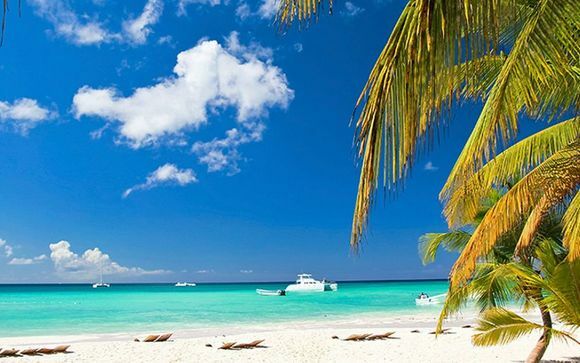 Take a look at our selection of luxury hotels in the ‘the Pearl of the Antilles’ and start planning your holidays today! Havana is the capital and largest city of Cuba, and is an attractive place in which to start your holidays. Start off in the historic centre, a UNESCO World Heritage Site since 1982; also known as ‘Old Havana’, the area boasts a number of buildings dating back to when the country was a Spanish colony. Castillo del Morro is a fortress which guards the entrance to Havana Bay, while La Cabaña fortress further east is where guns are ritually fired each night to mark the ceremonial closing of the city walls. 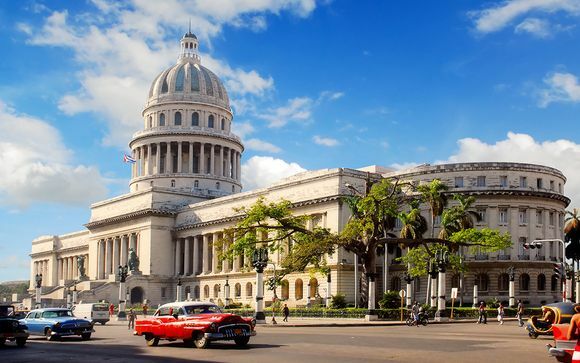 For those with an interest in the political history of the country, most of the relevant buildings are housed in this part of the city, including the National Capitol Building and the Museum of the Revolution. 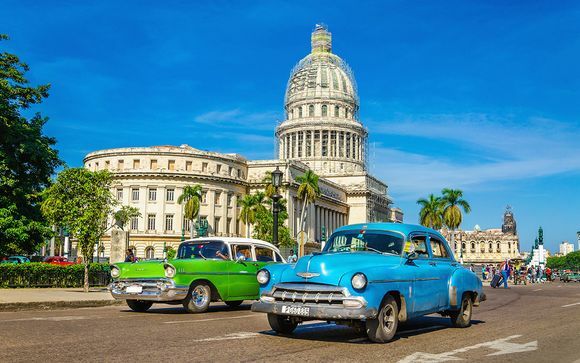 Visitors to Havana often say that a stay in the city is like going back in time, with 1950s-era cars dominating the road and a general lack of the ubiquitous advertising material seen throughout the western world. Not that there’s anything wrong with feeling like you’ve stumbled into a time machine; a particular favourite pastime of Havana holidaymakers is a visit to ‘Hemingway’s Havana’, in particular the bars in Old Havana where the famous American writer enjoyed sipping ‘the best’ mojitos and daiquiris. 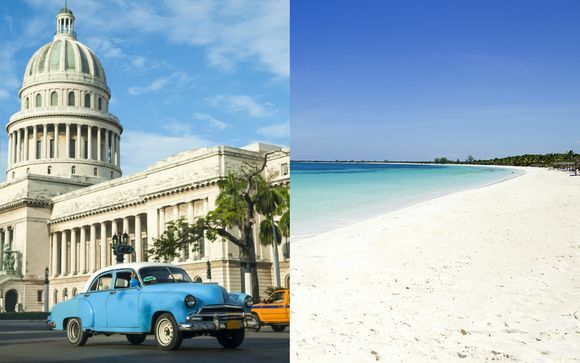 Havana is the centre of the action in Cuba, but it doesn’t steal all the limelight. The country is well known for its stunning beaches, with Varadero Beach and Playa Paraiso among the finest expanses of sand in the world. Cuba also boasts its fair share of happening resorts. Again, Varadero is popular with couples, families and celebrities alike, while further east, the archipelago of Jardines del Rey offers a quieter, but no less luxurious, experience. 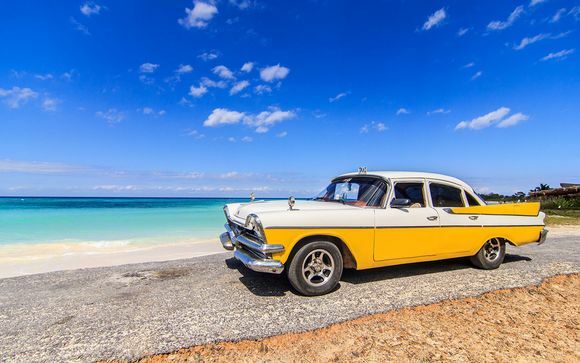 Sign up and start planning your luxury holiday to Cuba right away!